ⓑ❤❤ⓚⓐⓑⓛⓔ – Libraries exist to help people find information that solve problems, answer questions, or otherwise address important individual and community interests and needs. This blog was created to highlight some of the issues faced by libraries and the work carried out by librarians, library staff, library science students, and library supporters in New York City and beyond. Rest in Power, Cynthia G. Hurd, Librarian, among those killed in the hate crime shooting at Mother Emanuel AME Church in downtown Charleston. To honor their coworker and the 8 other victims, St. Andrews Regional Library and John L. Dart Library of Charleston County Public Library are closed today, Friday June 19. 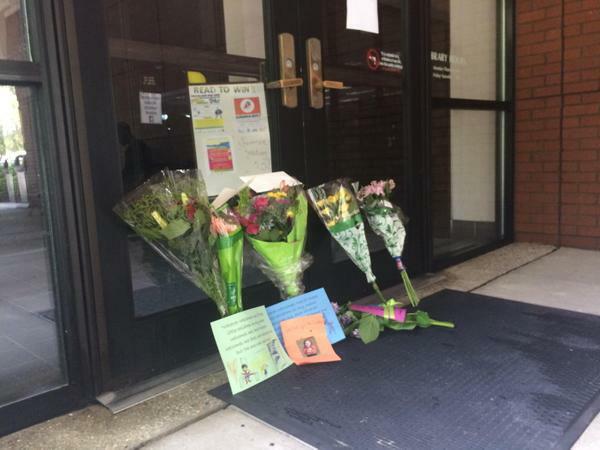 All 16 of CCPL’s locations were closed Thursday in mourning. The House That Herman Built is an on-going project that began as an exchange between two individuals and has expanded into an international art exhibition, a book, a documentary film, and is now in the fundraising stages of building Herman Wallace’s dream home in the city of New Orleans. The exhibit includes a life-sized replica of Wallace’s prison cell, selections from his correspondence with Sumell, books from his reading list, and, now in the library’s main lobby, a model of the dream house that he designed. In the wake of his death, this project, in all of its forms, speaks to Herman’s struggle and the struggle of all people forced to endure wrongful convictions and the inhumane conditions of long term solitary confinement. Go see it at BPL or take a look at the video below put out by Democracy Now! From the #WeNeedDiverseBooks campaign at Oakland Public Library. A woman holds a #WeNeedDiverseBooks sign up. Across the country #BlackLivesMatter is inspiring action and conversation. Thank you to the Oakland librarians who have compiled resources to support these conversations (all of which are available to view here; however placing holds on materials via the OPL catalog would require a library card). Related to libraries and education, I received an email from an instructor today asking, “What can educators and students actually do to affect change in Ferguson and beyond?” I sent her a link to a collaborative online document, Teaching #Ferguson #sschat Resources, a collection of teacher-recommended materials and teaching strategies ranging from pre-k to college-level. I have since also found a relative document, Teaching About the Jordan Davis Murder Trial, which includes lesson plans for high school students. The first document includes curricula and resources for answering questions such as how has media bias influenced understandings of Ferguson? What historical/civic issues could help provide context for the events in Ferguson? How can teachers address social justice issues (police brutality, racial/economic discrimination, etc) related to Ferguson? Regardless of where and how you teach, I hope instructors everywhere will accept the challenge of helping students understand how to think critically about systems, power, and the media. 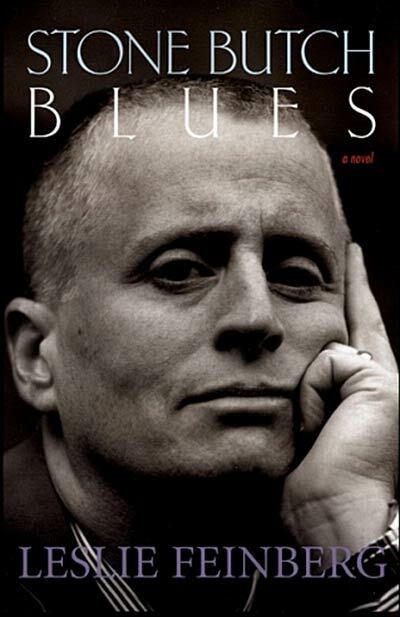 Celebrate the Life of Leslie Feinberg; Read! Leslie Feinberg, who identified as an anti-racist white, working-class, secular Jewish, transgender, lesbian, female, revolutionary communist, died on November 15. You can read her obituary, lovingly written by her partner, Minnie Bruce Pratt, here. 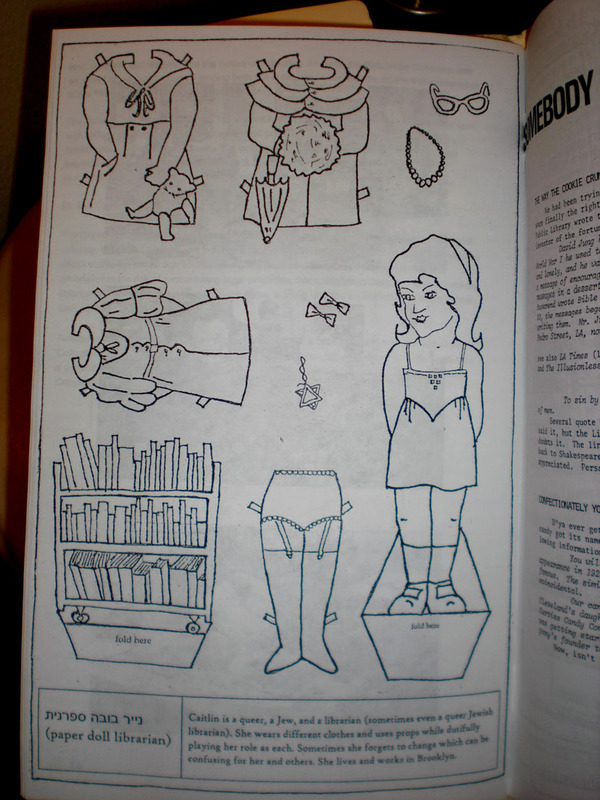 Feinberg wrote extensively about the complexities of gender as well as the links between socialism and LGBT history. Many of her book titles, speeches, interviews, articles, and podcasts can be accessed via her website. Take a look! At the time of her death Feinberg was preparing a 20th anniversary edition of Stone Butch Blues, a free access edition, which can be read and downloaded on-line. This edition is dedicated to CeCe McDonald, a young Minneapolis (trans)woman organizer and activist sent to prison for defending herself against a white neo-Nazi attacker, and will contain a slideshow, “This Is What Solidarity Looks Like,” documenting the breadth of the organizing campaign to free CeCe McDonald. A group of friends are continuing to work to post Feinberg’s final writing and art online at Lesliefeinberg.net (coming soon). 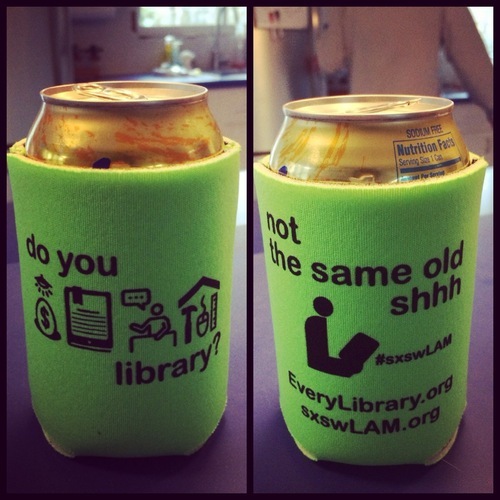 Want to see more library, archive, & museum content come to SXSW 2015? The SXSW PanelPicker is now open for public voting. 30% of the decision to pick a panel is based on public input, so sign up for an account, and get your votes in before Friday, Sept. 5! Feel free to add comments to the proposals to show additional support, and share far and wide! Selected panels will be announced starting Monday, Oct. 20, 2014. Below is a short list of SXSW 2015 LAM (Interactive and EDU) panels. See a more inclusive list here and don’t forget to vote! There is no better time of the year than September to sign up for a library card. All next month, the American Library Association (ALA) and libraries all across the country are celebrating the value of getting a library card. If you don’t already have a library card, then be sure to stop by your local public library sometime during the month of September. 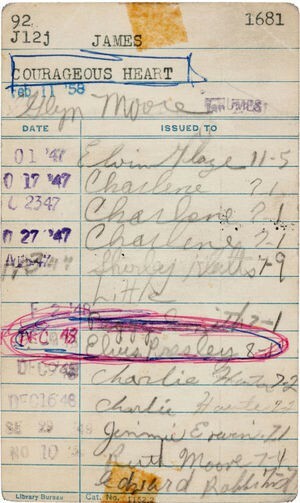 If you have one, but know a friend or young person who doesn’t, then bring them to the library to get a card! They will want one to check out books, ebooks, audio tapes, cds, videos, dvds, and access computer terminals, databases and download mp3s—all free! Live in Manhattan, Bronx, or Staten Island?